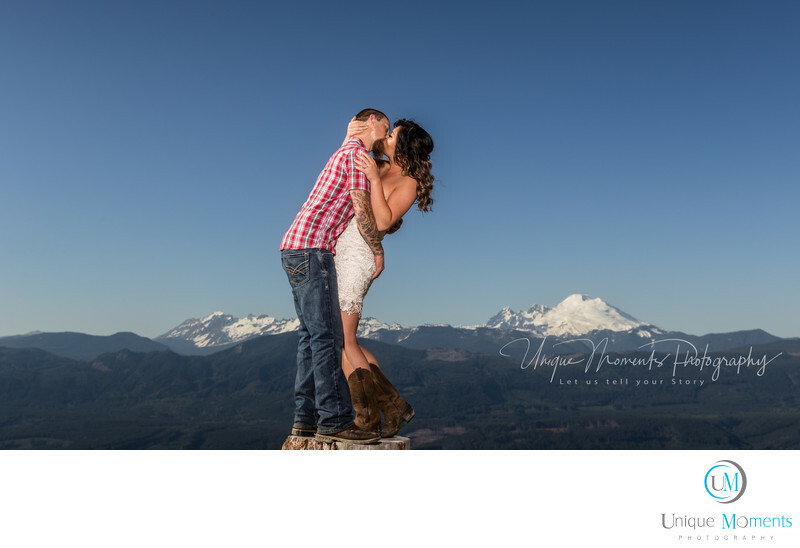 Unique Moments Photography always provides a fee engagement session with our wedding packages. We feel it’s a great opportunity to get the clients in front of a camera and figure out some poses and looks that will work for the wedding day. And, we always provide a big 16×24 gallery wrap for the guest sign in table. Its nice to have a large portrait of the couple at the wedding and reception. Couple’s feel comfortable with the Photo capture process and wedding day photos always turn out to be easier for everyone involved.